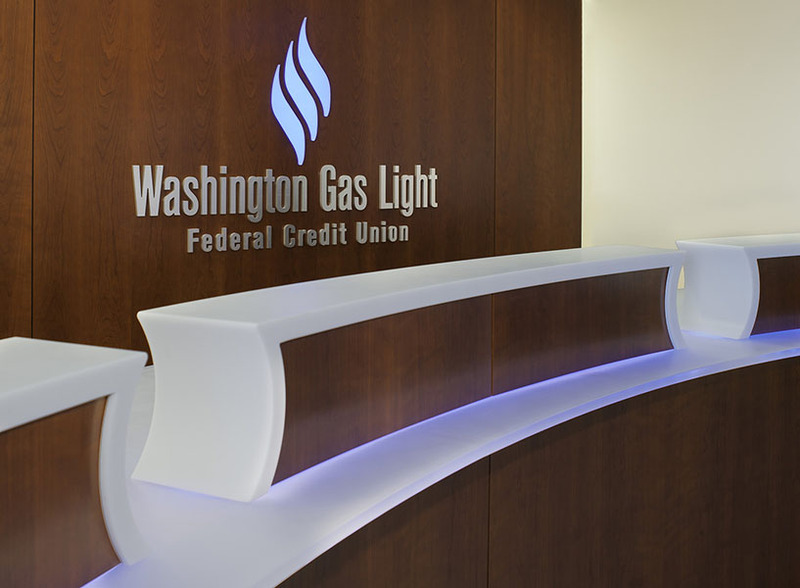 A non-traditional, fresh appearance characterizes this stunningly designed, rebranded credit union. 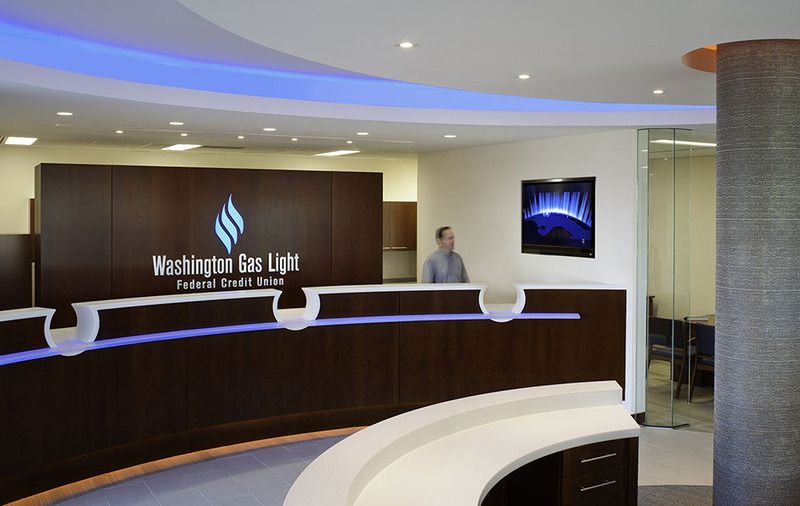 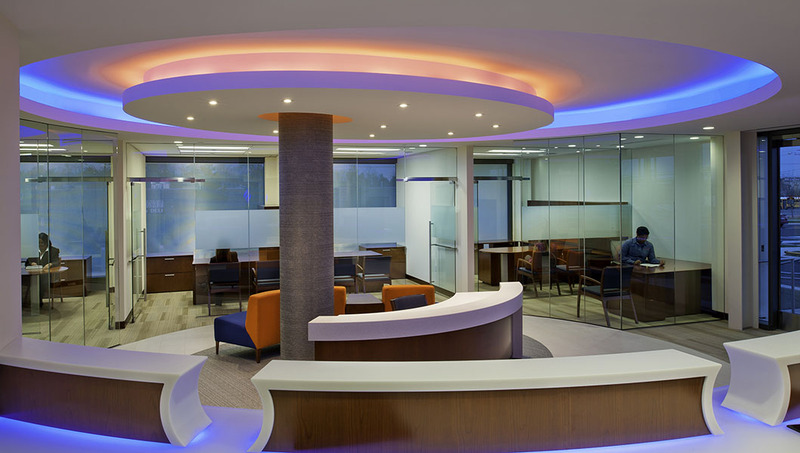 Adorned with colorful LED lights, the space creates a look suggestive of the natural gas flame that has become synonymous with the company’s brand. 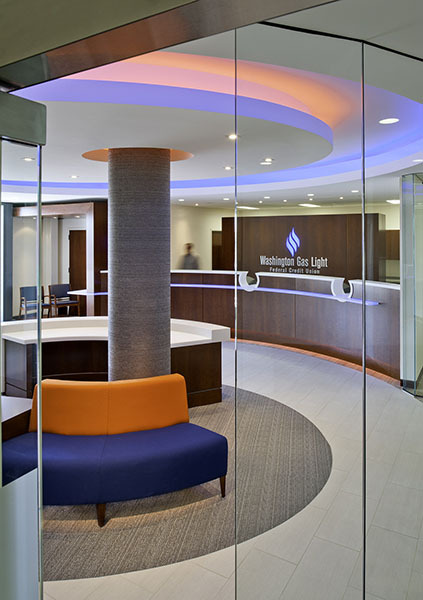 Gently tumbling into the space, light streams throughout the credit union creating an airy, approachable atmosphere. 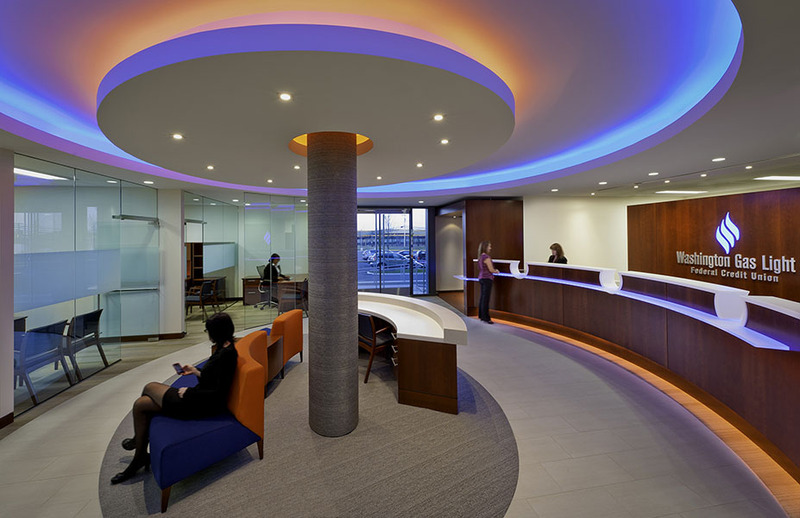 Traditional teller counters were eliminated in favor of an open concept to achieve the owner’s desire for increased client interaction with the capacity to strengthen relationships.